Dmitry Bivol ended his run on HBO with another one-sided victory. A game effort from veteran former world champion Jean Pascal just wasn’t nearly enough tonight in Atlantic City, as Dmitry Bivol largely dominated over 12 rounds, winning a wide decision to retain his WBA “world” light heavyweight title in the HBO main event. Official scores were 117-111, 119-109, and 119-109. BLH had it 119-109 for Bivol. Pascal (33-6-1, 20 KO) had moments here and there, but the 36-year-old just didn’t have the right tools to give Bivol (15-0, 11 KO) any serious trouble, despite Pascal trying lots of tricky veteran stuff along the way. 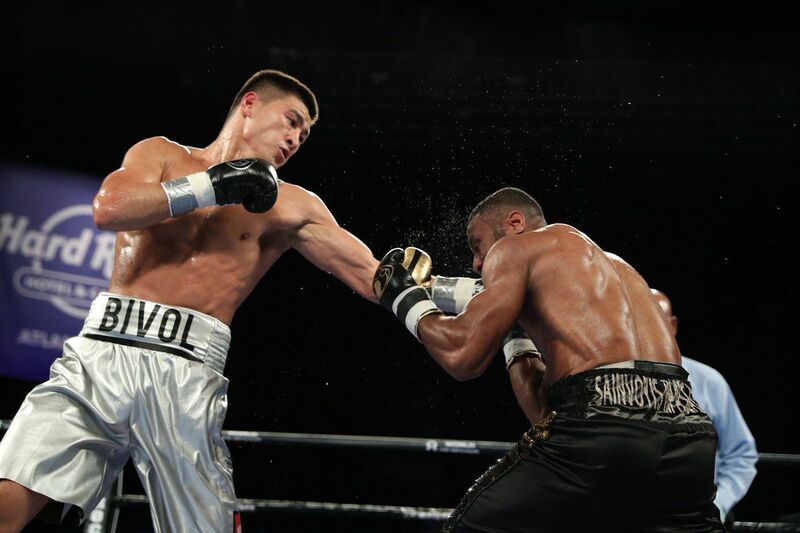 He just didn’t throw enough or land enough to really bother Bivol, 27, who marches on in what was his final HBO fight, on the network that has made him one of boxing’s rising stars. It’s another solid win for Bivol, adding to his victories over the likes of Sullivan Barrera and Isaac Chilemba, and it’s clear he’s better than these second-tier sort of light heavyweights. The question now is what he can do against higher regarded fighters, the likes of Adonis Stevenson, Eleider Alvarez, Badou Jack, Artur Beterbiev, and even Sergey Kovalev is still in that mix. Bivol landed 217 of 678 (32%) of his total punches, including 127 of 287 (44%) of his power shots, and used a lot of jabs throughout the bout to keep Pascal more than honest. By comparison, Pascal landed a paltry 60 of 357 (17%) of his total punches, and 54 of 239 (23%) of power shots, with no jab to speak of throughout the bout.